Available Sizes: Regular Sm to 3XL - Long Med to XXL. 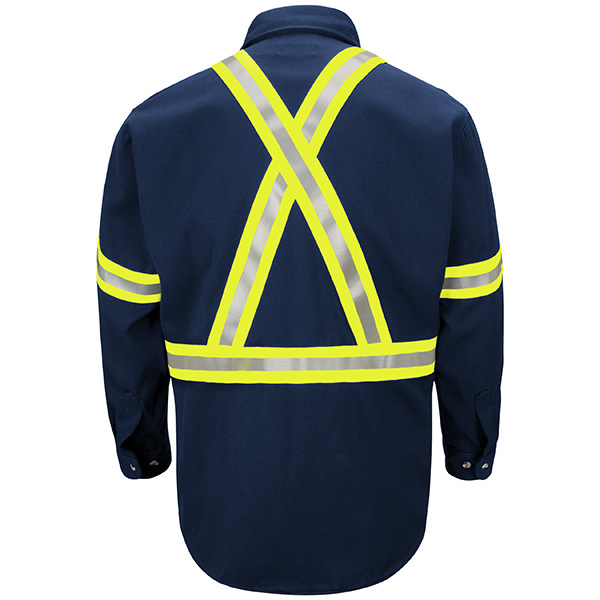 Care:Light soil Industrial Wash or Home Wash. 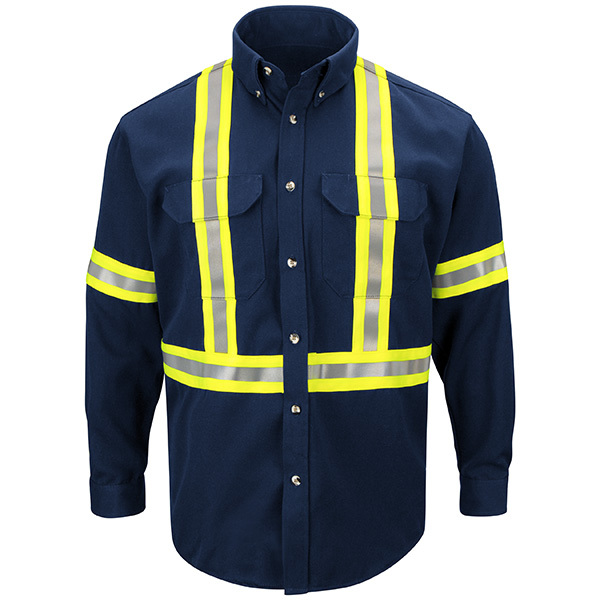 Fabric: EXCEL FR® ComforTouch® Flame-resistant, 7 oz. (235 g/m²) 88% Cotton / 12% Nylon. 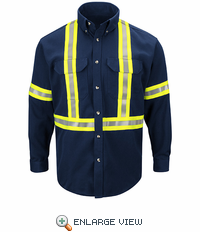 Banded, topstitched collar › Two chest pockets without flaps and sewn-in pencil stall › Placket front with button closure › Topstitched cuff with button closure › Tailored sleeve plackets › 360º visibility with front and back 2" flame resistant yellow/silver/yellow reflective striping-CSA Z96 Compliant.